With three months to go until Srebrenica Memorial Day, Remembering Srebrenica was invited to deliver a workshop on the role of faith communities in genocide commemoration to the Lincolnshire Methodist District Synod. With representation from 160 Methodist churches in the district, the workshop highlighted how Srebrenica commemorations can be a powerful way to bring different faiths together in places of worship and forge connections through learning from, and understanding each other’s beliefs. Participants also discussed that by holding Srebrenica commemorations in Christian churches, it sends a strong message to those who seek to divide, and acts as an antidote against genocide denial, serving as a positive example to Bosnia-Herzegovina as to how to overcome the attempted manipulation of faith and ethno-religious identity. 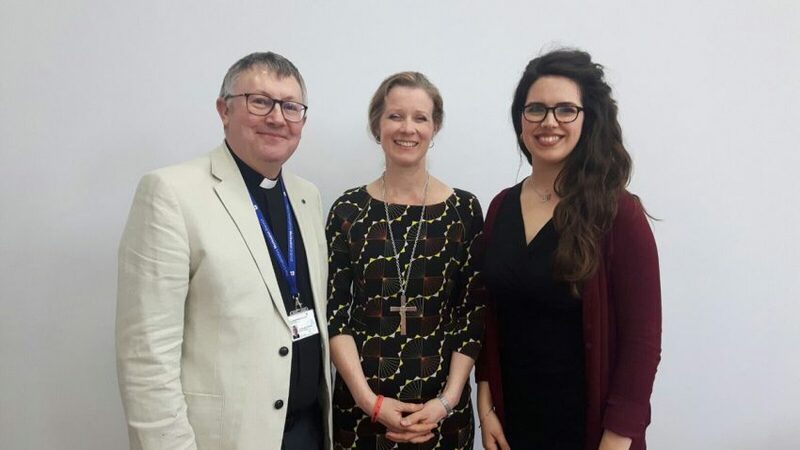 “It was a great privilege to speak to Methodists at the conference, to hear about their incredible outreach work with communities across Lincolnshire and discuss the important role faith organisations can play in commemorating past atrocities. The Chair of the District, Reverend Bruce Thompson, shared some of his experiences of the Kosovan war, and the extensive work he carried out with Kosovan Albanian refugee families in the UK. The event saw dozens of Methodist ministers pledged to mark Srebrenica in their church services in memorial week, on Sunday 16th July.